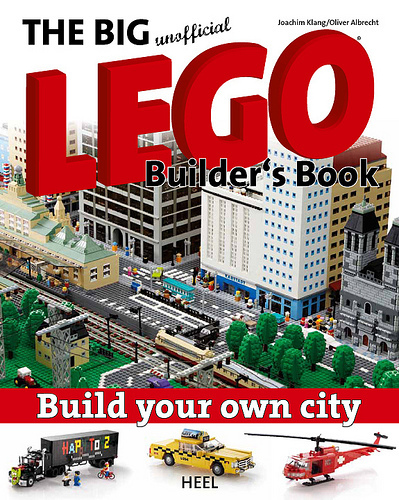 It must be the season for Unofficial LEGO books, as hot on the heels of The Big Unofficial LEGO Adventure Book comes The Big Unofficial Lego Builder’s Book: Build Your Own City (auf Deutsch) by the talented Joe Klang (-derjoe-) and Oliver Albrecht (*Olly*). The book includes some beautiful cars and micro-city designs, along with instructions to help you build them (eg. ).